Well to start off with this week we have a miracle! After making endless mental notes to myself that I should really get around to writing a review of the screen recording software I use, Camtasia, I finally did it! So if you have ever wondered what the software is that people use, especially on YouTube, for demonstration type videos then this is the one for you. Now before you go hopping off to check it out just bear in mind that Camtasia is a specialist software and was developed specifically for the purpose of screen recording. It has a very good video editor attached to it called Camtasia Studio by if you have no real need for the screen recording part then you would do much better with a dedicated video editing program. Camtasia was originally a strictly Windows based product up until a few years ago when they released a Mac version as well. For Mac users I would probably go for Telestream’s ScreenFlow 5 over Camtasia but then again I am certainly no Mac expert. One of the difficulties faced by many video makers who want to distribute their projects beyond the “friends and family” circle is that of using music. The question of what music you can or cannot use and under what circumstances you can use then distribute is not as simple as many believe. To say that copyright laws are a grey area is to underestimate the situation completely. 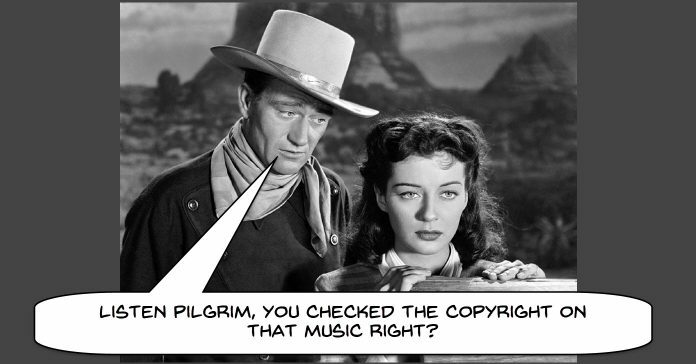 Unfortunately most people who end up being pulled up in some way for copyright violation are either totally unaware that they have done so or worse still, actually thought they were following the rules. Equally unfortunate is the fact the for any given piece of music there are places you can and cannot use them and it may depend on how it is used, how much of it is used, the nature of the projects in which it is used and even the platform on which it is being displayed. Then on top of that you may still get busted just because a service like YouTube “thinks” you are in violation when maybe you are not. All in all it is a bit of a minefield so for a complete (non-legal) overview of what you can and cannot do take a look at the extensive article linked below. Attention: Rambling discourse at the beginning of this video warning! Ok, now I have that out of the way let me explain. The video below is something I thought might be of interest because it goes into a bit of a discussion of reasonable alternatives for a video camera at the sub $100 mark. For that purpose it is really good but the guy at The Frugal Filmmaker does tend to ramble a tad at the beginning of his videos so bear with it and all will be revealed. Came across this article on the NewBlueFX site the other day and although it was written with pro editors in mind I couldn’t help but think some of it applies to us amateurs! Although creating video using the green screen effect is presented as being pretty easy by the marketing departments of video editing software makers it is not as simple as they make out. There are plenty of tutorials around especially on YouTube that can get your green screen looking as good as you would expect to and probably the main point to keep in mind is this. When you are shooting green screen you need the screen itself to be as flat as possible, to be lit as evenly as possible and to be of an acceptable green. These three points, if followed well, will result in the software you are using selecting out the green in the image with ease ans give you pretty good results. Now of course it hasn’t always been “beer and skittles” in the world of green screen as the video below suggests. In fact prior to the digital age the act of capturing green screen (or blue screen) was very complicated and the results weren’t always that good. It is interesting though to take a look and see just how far we have come. In my tips section on Getting Your Videos Online I go into a little detail about the whys and wherefores of optimizing your videos once they are on YouTube. By optimizing I am not talking about the actual video but the title of the video, the description and all that other non-video stuff you should be doing. The reason you really need to get into that stuff is that there are three types of video that YouTube will come up with whenever anyone lands on their site. Now most people don’t give these videos a second thought because they are on YouTube to consume video, not to supply it and that’s why, if you are a video creator you have to ask yourself how the videos they show for these headings get there. How does YouTube decide which are related, recommended or suggested videos connected with any video you or anyone else watches at any given time. The answer to that is that YouTube leverages search technology from Google (their owners) and gathers key information about each uploaded video in order to work out it’s relevance to a particular subject or how it fits into the general scheme of things. By constantly gathering information, videos can be grouped together and ranked in numerous ways to as to provide an overall picture of what video should be related to other videos and which videos may be of more relevance to which viewers. In addition to what’s on this site the link below goes to an excellent discussion of how this all works and more importantly how to can take full advantage of it. OK all you wanna be George Lucaseses, here is a simple and more importantly free way to create that jump into hyperspace you have been looking for. All you need is a computer, an existing video editing program and a free tool (available from the link below) and you can get started on that prequel or sequel to Star Wars you felt needed to made!